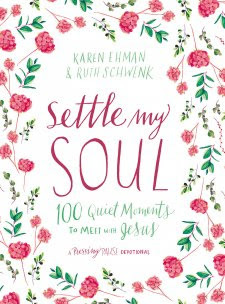 Settle my Should: 100 Quiet Moments to Meet with Jesus by Karen Ehman and Ruth Schwenk is a devotional for busy women who struggle to find the time each day to connect with Jesus. For each day, the authors give a short devotional that puts something new into perspective for readers. Then a short prayer, some questions for reflection, and a little bit of space for journaling. First of all, this book is absolutely beautiful. It's a white floral hardcover with a blue ribbon to mark your place. But I also really enjoyed reading it, too. I did a lot of journaling as I read and it really made me think. 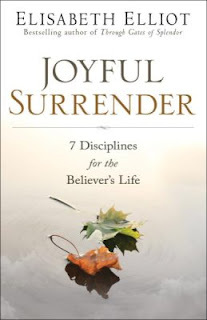 In her book Joyful Surrender, Elisabeth Elliot talks about the disciplines that believers should follow in living a believer's life. She also explains to the reader how to be able to follow those disciplines. This includes having discipline over your mind, body, possessions, time, and feelings, how to overcome anxiety, how to change poor habits, how to trust God in the hard times, and how to let Christ have control over everything. Overall, Elisabeth Elliot stresses self-discipline in all areas of life. I enjoyed this book, as I've enjoyed other books written by Elisabeth Elliot. She has a way of talking to the reader in a way that is very kind, and not at all condescending. Everything she tells to the reader, she's learned from experience. She's very humble and down to earth. Overall, I gave this book 3/5 stars. *I received a free copy of this book in exchange for a review. I was not required to write a positive review. All opinions are my own. This adorable little Bible was created for brides in mind. 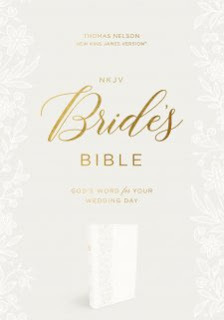 It's the NKJV Bride's Bible from Thomas Nelson. It's an adorable little white Bible, with a leather cover and an imprinted floral design on the front. It comes in a little box to keep it protected! Inside, it's a Bible just like any other. Not much to expand upon there! There aren't any study materials or extra information in this Bible. What is different about this Bible is that there are pages in the front for brides to fill out. This includes the date, time, and location of the ceremony, memories from the day, a page to list the wedding party, the story of how you met, the proposal story, and details from the bridal shower. This would be a really great gift for a bridal shower! I think I am going to give it to my best friend at her shower! Overall, this Bible gets 5 stars. This is a short devotional that only takes about 10 minutes of your day. It takes you through a few verses of Proverbs each day, along with some devotional content, a prayer, and questions to consider. This book focuses on increasing in wisdom. I loved reading this, and filled up so many pages of my journal as I did. My eyes were really opened to things I am guilty of and need to change, and I have found myself thinking back to what I learned in this book when I encounter a situation where I can be either wise or a fool. I really do think that this book has made a positive impact on me, and I am eager to share it with others! The book itself is smaller than a normal book in size, but very cute with smooth and shiny pages. I gave this book 5/5 stars. *I received a free copy of this book from the publisher in exchange for a review. I was not required to write a positive view. All opinions are my own. Stirling, in my opinion, is the greatest city in the world. It is the most beautiful place I have ever seen, full of nature, beauty, history, and excitement. It is also where I lived for a summer while I studied abroad. If you get the chance to go to Scotland, I highly recommend visiting the central city of Stirling, and here are 5 things you should see while you're there. The childhood home of Mary Queen of Scots and the ruling place of countless other heroes of history, Stirling Castle is one of the most important locations in Scotland. Pronounced Du-my-at, this steady climb up 1,371 feet for amazing view of the city of Stirling. As you walk, you'll encounter sheep and highland cows (coos) along the way. 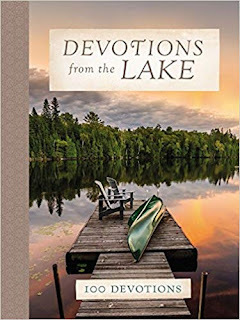 This is a beautiful daily devotional, perfect for the summertime, all about the beauty of nature and God's love for us. Each day had a short devotional and a prayer after. It is the perfect thing to read outside in the summer, or keep open on a table at the cabin. I adored this, and though I read through it all already, I want to keep it around and read through it each summer. I definitely would recommend it to anyone, and I gave it 5/5 stars. 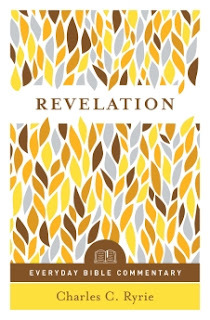 This is a complete, verse-by-verse guide to understanding the book of Revelation. It gives context about importance, author and dates, interpretations, attitudes toward it, and an outline of each section. The author underlines the fact that the book of Revelation was meant to clarify, not mystify. When reading through this, I would recommend reading the verses in your Bible, and then reading the interpretation, rather than reading the book cover to cover. You should use this as a guide while you read your Bible. I completely loved this commentary. The purpose of this series is to help all readers understand the Bible, even if they are not studying it professionally. This definitely helped me, and I am excited to pick up more of the Everyday Bible Commentary books! I gave this 5/5 stars!